This guide illustrates how to set up Jenkins as a continuous integration server and automate compiling mobile applications created with Xamarin. 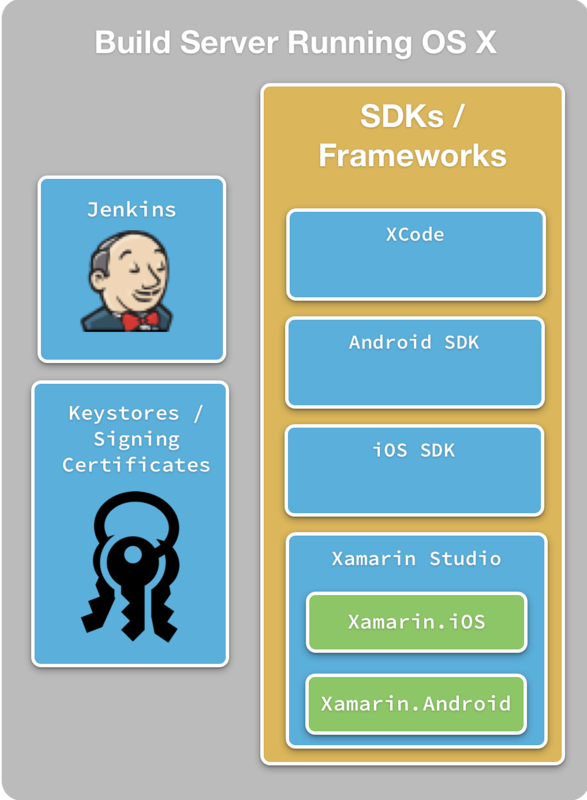 It describes how to install Jenkins on OS X, configure it, and set up jobs to compile Xamarin.iOS and Xamarin.Android applications when changes are committed to the source code management system. Introduction to Continuous Integration with Xamarin introduces continuous integration as a useful software development practice that provides early warning of broken or incompatible code. CI allows developers to address issues and problems as they arise, and keeps the software in a suitable state for deployment. This walkthrough covers how to use the content from both documents together. This guide shows how to install Jenkins on a dedicated computer running OS X, and configure it to run automatically when the computer starts up. 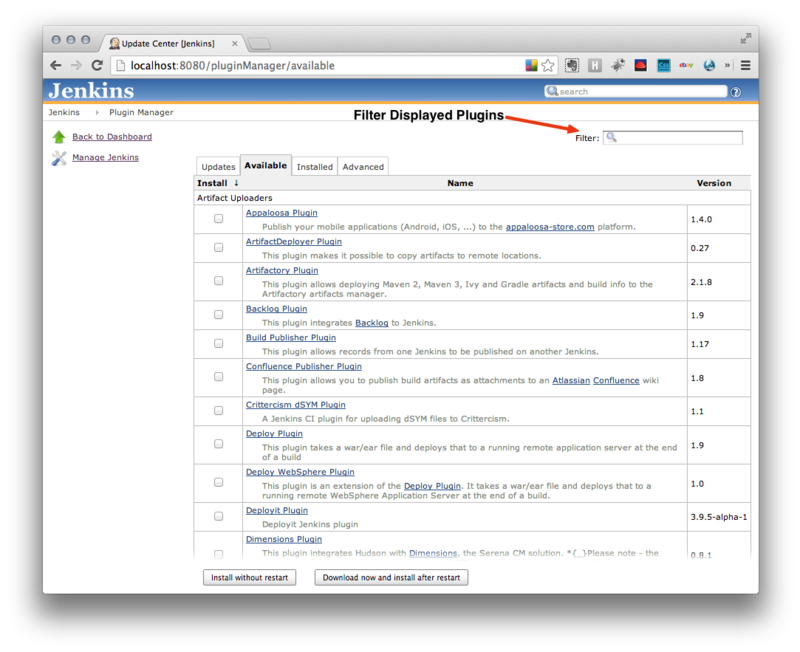 Once Jenkins is installed, we will install additional plugins to support MS Build. 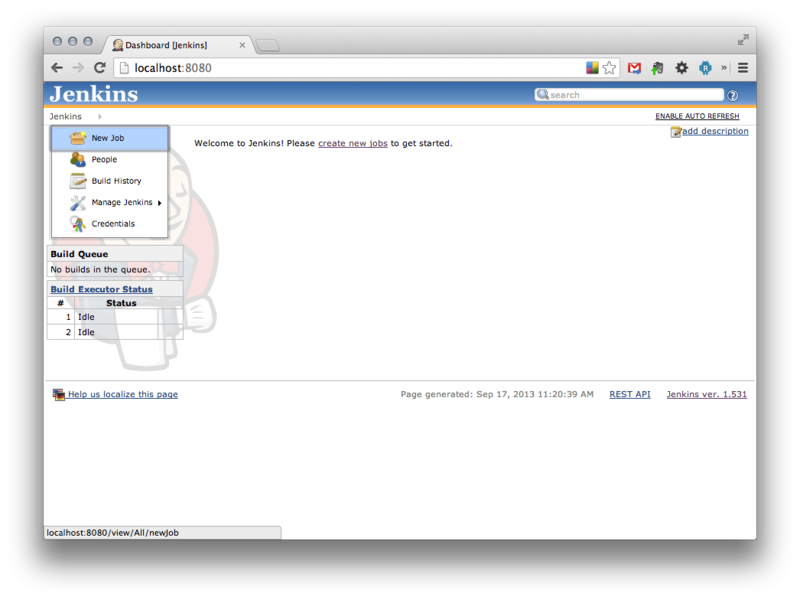 Jenkins supports Git out of the box. If TFS is being used for source code control, an additional plugin and command line utilities must also be installed. Source Code Management (SCM) – This is a meta-data entry in the Jenkins configuration files that contains information on how to connect to source code control and what files to retrieve. Triggers – Triggers are used to start a job based on certain actions, such as when a developer commits changes to the source code repository. Build Instructions – This is a plugin or a script that will compile the source code and produce a binary that can be installed on mobile devices. Optional Build Actions – This could include running unit tests, performing static analysis on the code, signing code, or starting another job to perform other build related work. 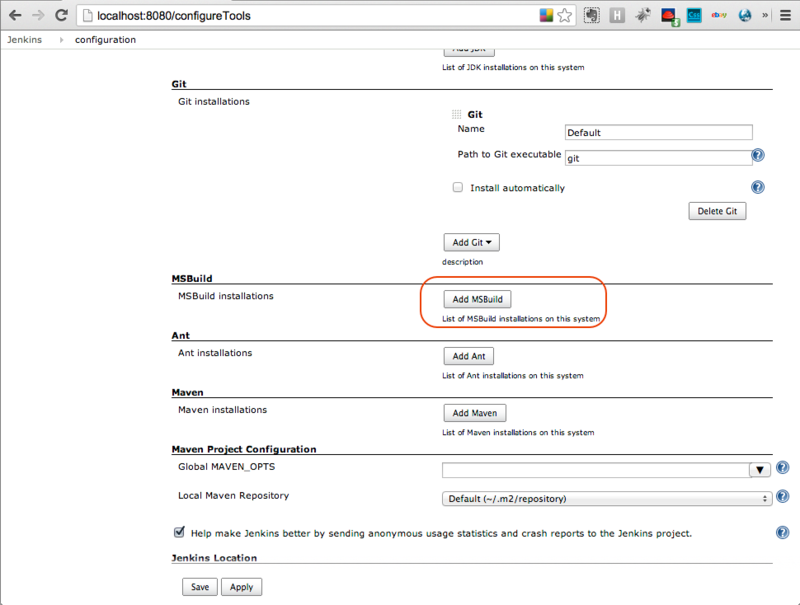 Notifications – A job may send out some kind of notification about the status of a build. 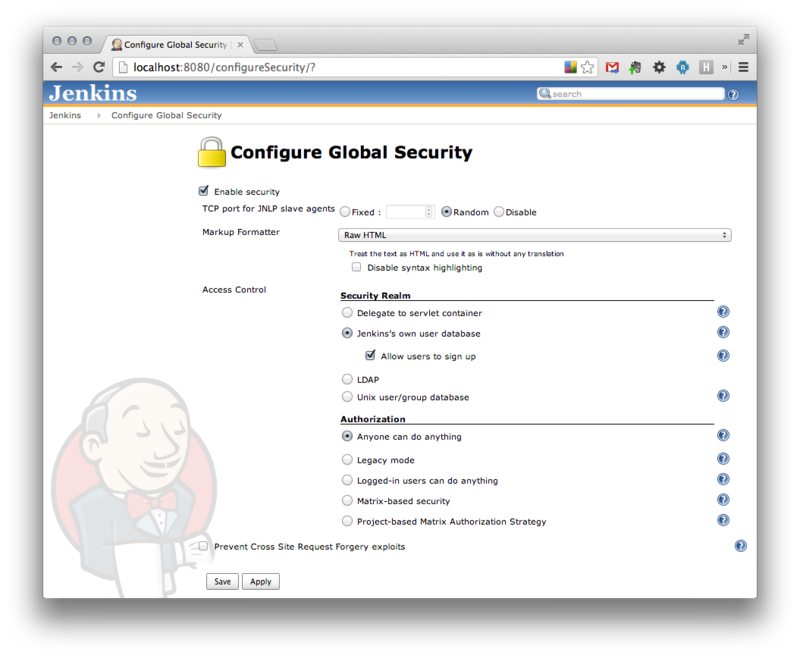 Security – Although optional, it is strongly recommended that the Jenkins security features also be enabled. 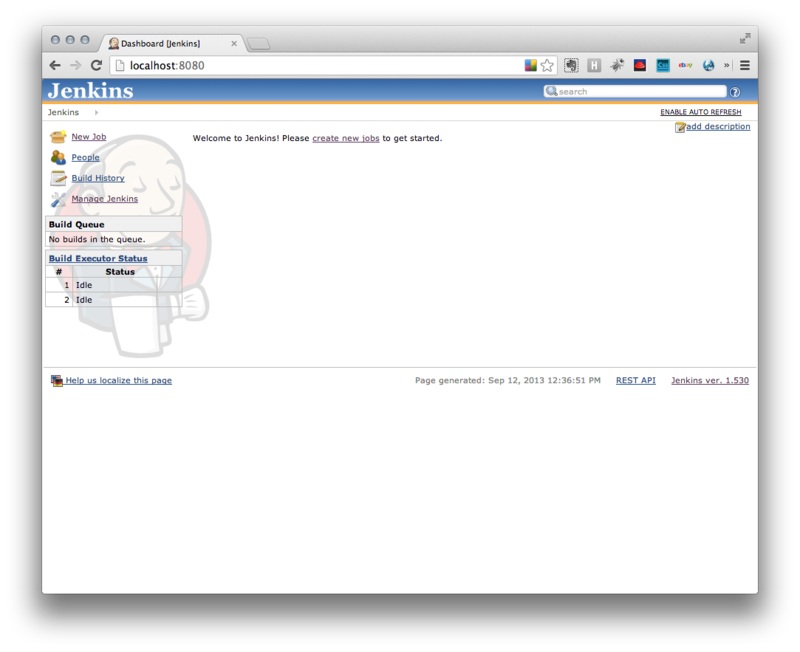 This guide will walk through how to setup a Jenkins server covering each of these points. By the end of it, we should have a good understanding of how to setup and configure Jenkins to create IPA and APK’s for our Xamarin mobile projects. The ideal build server is a stand-alone computer dedicated to the sole purpose of building and possibly testing the application. A dedicated computer ensures that artifacts that might be required for other roles (such as that of a web server) do not contaminate the build. For example, if the build server is also acting as a web server, the web server may require a conflicting version of some common library. Because of this conflict the web server may not function properly or Jenkins may create builds that do not work when deployed to users. The build server for Xamarin mobile apps is set up very much like a developer’s workstation. 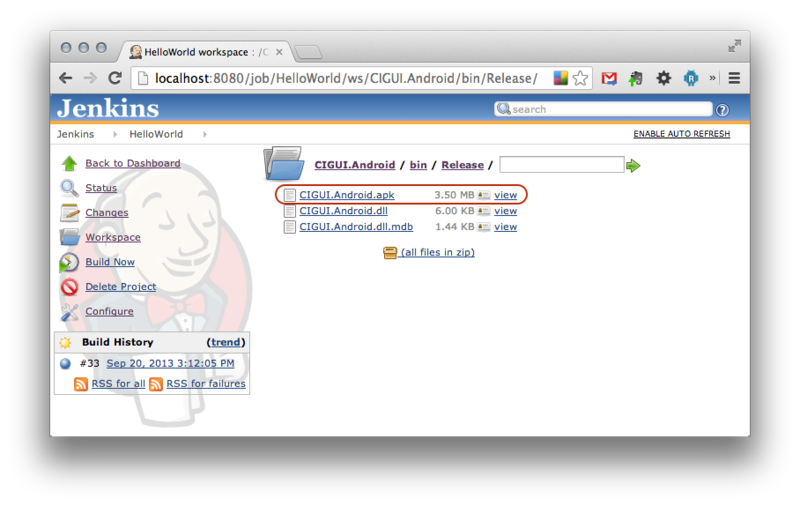 It has a user account in which Jenkins, Visual Studio for Mac, and Xamarin.iOS and Xamarin.Android will be installed. All of the code signing certificates, provisioning profiles, and key stores must be installed as well. Typically the build server's user account is separate from your developer accounts - be sure to install and configure all the software, keys, and certificates while logged in with the build server user account. iOS applications can only be built and signed on a computer running macOS. 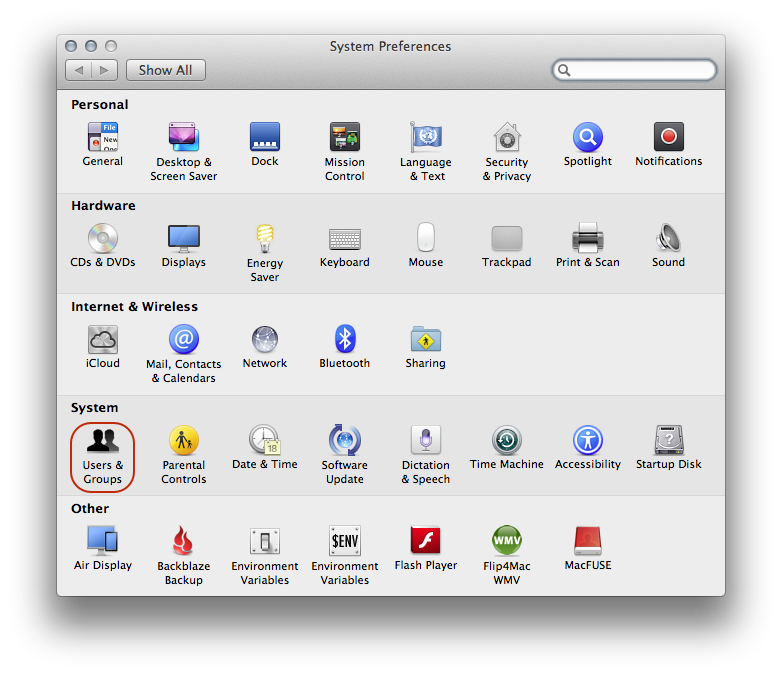 A Mac Mini is a reasonable lower-cost option, but any computer capable of running OS X 10.10 (Yosemite) or higher is sufficient. If TFS is being used for source code control, you will want to install Team Explorer Everywhere. Team Explorer Everywhere provides cross-platform access to TFS at the Terminal in macOS. In order for tests to be submitted to Xamarin Test Cloud, the computer submitting the tests must be able to communicate with the Test Cloud servers. Firewalls must be configured to allow network traffic to and from the servers located at testcloud.xamarin.com on ports 80 and 443. This endpoint is managed by DNS and the IP address is subject to change. As a daemon, running in the background. Inside a servlet container such as Tomcat, Jetty, or JBoss. As a normal process running under a user account. Most traditional continuous integration applications run in the background, either as a daemon (on OS X or *nix) or as a service (on Windows). This is suitable for scenarios where there is no GUI interaction required, and where the setup of the build environment can be easily performed. Mobile apps also require keystores and signing certificates that might be problematic to access when Jenkins is running as a daemon. 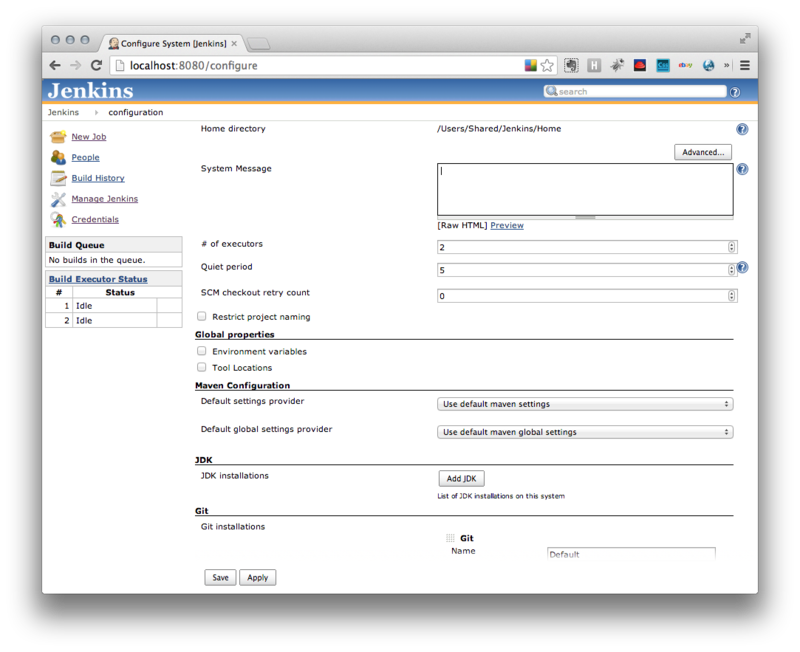 Because of these concerns, this document focuses on the third scenario – running Jenkins under a user account on the build server. 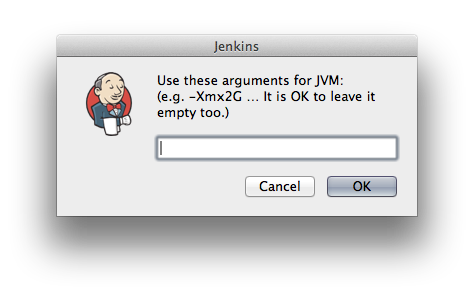 Starting or stopping Jenkins is as simple as starting or stopping Jenkins.App. 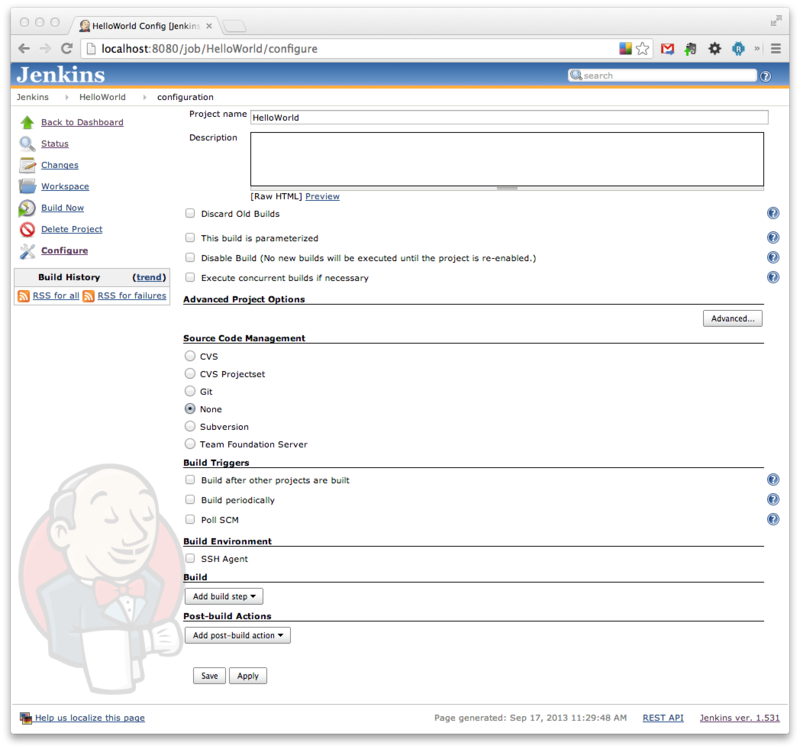 Customizing Jenkins is optional and does not have to be performed each time the app is started – the default settings for Jenkins will work for most situations. 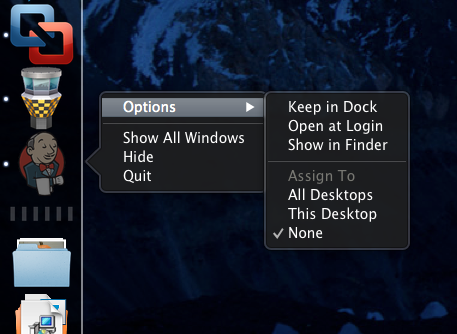 Click on the Login Options button, and then choose the account that OS X will use for login at boot time. 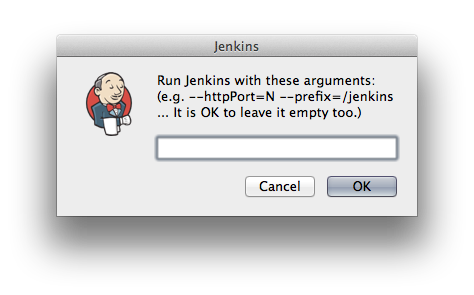 At this point Jenkins has been installed. However, if we want to build Xamarin mobile applications, we will need to install some plugins. Jenkins MSBuild Plugin – This plugin makes it possible to build Visual Studio and Visual Studio for Mac solutions (.sln) and projects (.csproj). Environment Injector Plugin – This is an optional but useful plugin that makes it possible to set environment variables at the job and build level. It also offers extra protection for variables such as the passwords used to code sign the application. It is sometimes abbreviated as the EnvInject Plugin . Team Foundation Server Plugin – This is an optional plugin that is only required if you are using Team Foundation Server or Team Foundation Services for source code control. 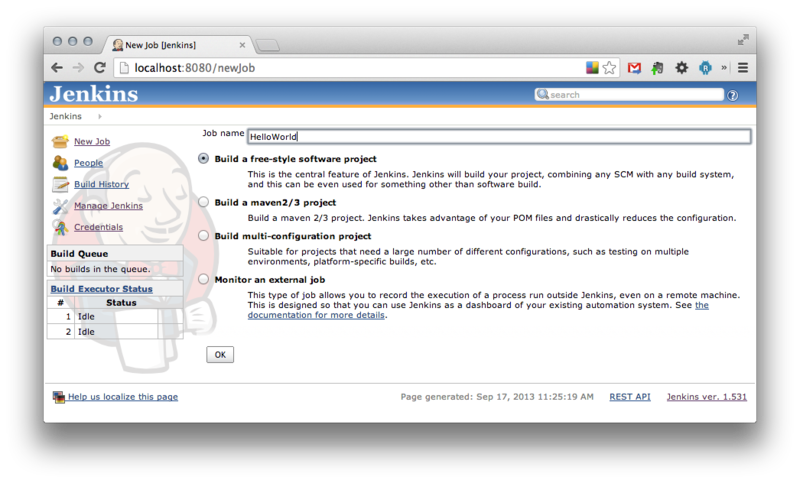 Jenkins supports Git without any extra plugins. Click on this button, and fill out the Name and Path to MSBuild fields on the form that appears. The name of your MSBuild installation should be something meaningful, while the Path to MSBuild should be the path to xbuild, which is typically /Library/Frameworks/Mono.framework/Commands/xbuild. 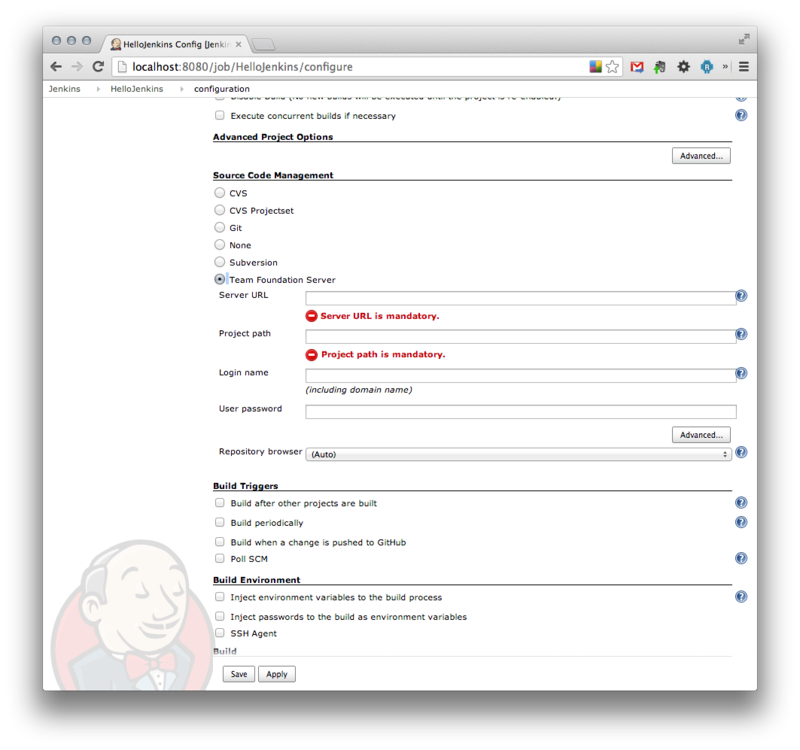 After we save the changes by clicking the Save or the Apply button at the bottom of the page, Jenkins will be able to use xbuild to compile your solutions. This section is mandatory if you intend to use TFS for your source code control. 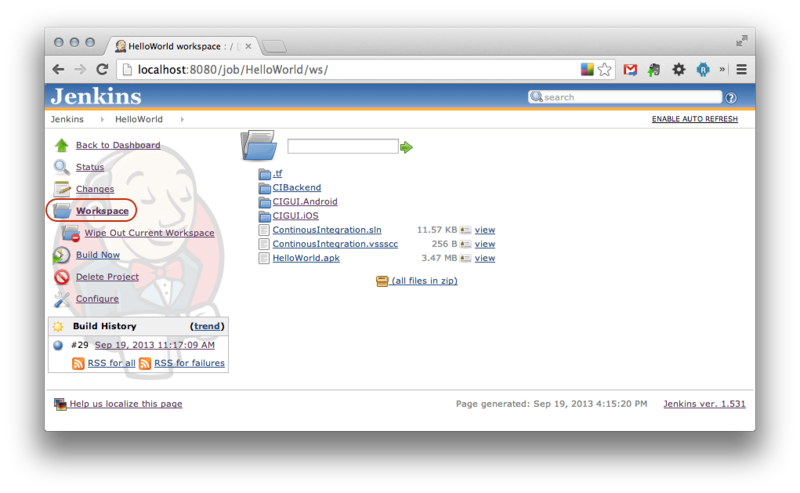 Unzip the archive file to a directory that is accessible to the user account. For example, you might unzip the file to ~/tee. Enter the full path to the tf command, and click the Save button. 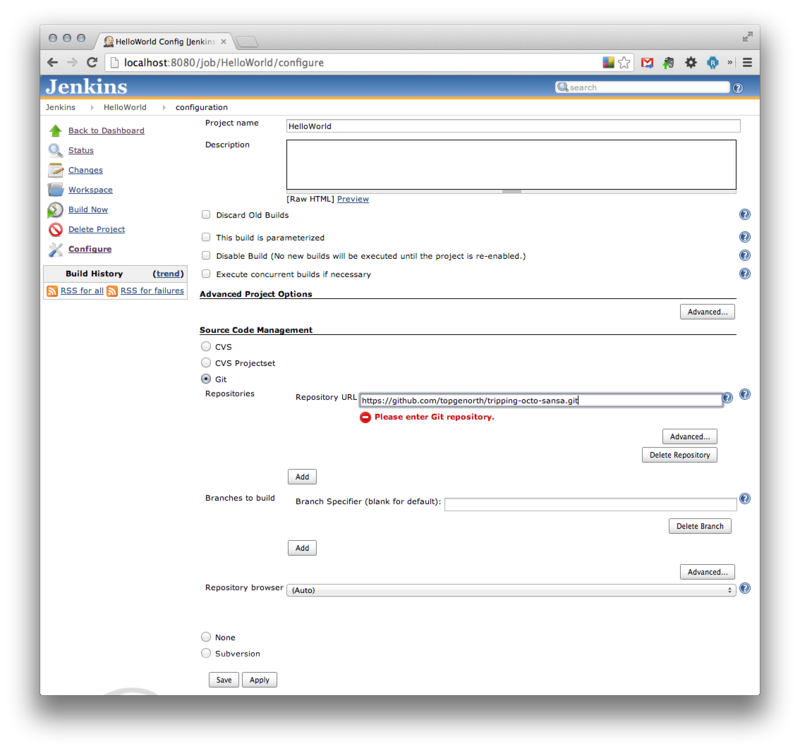 When first installed, Jenkins has security disabled, so it is possible for any user to set up and run any kind of job anonymously. 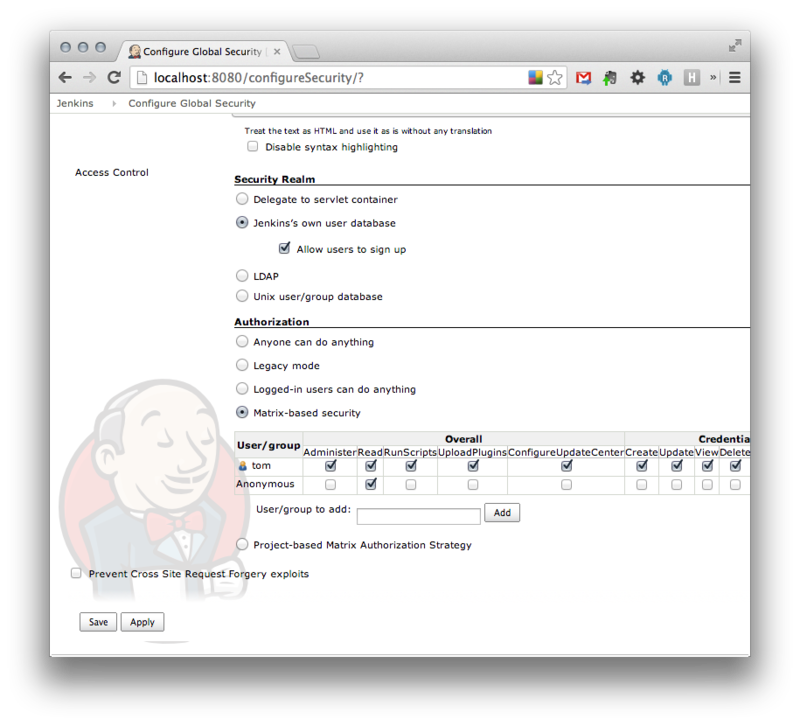 This section covers how to configure security using the Jenkins user database to configure authentication and authorization. 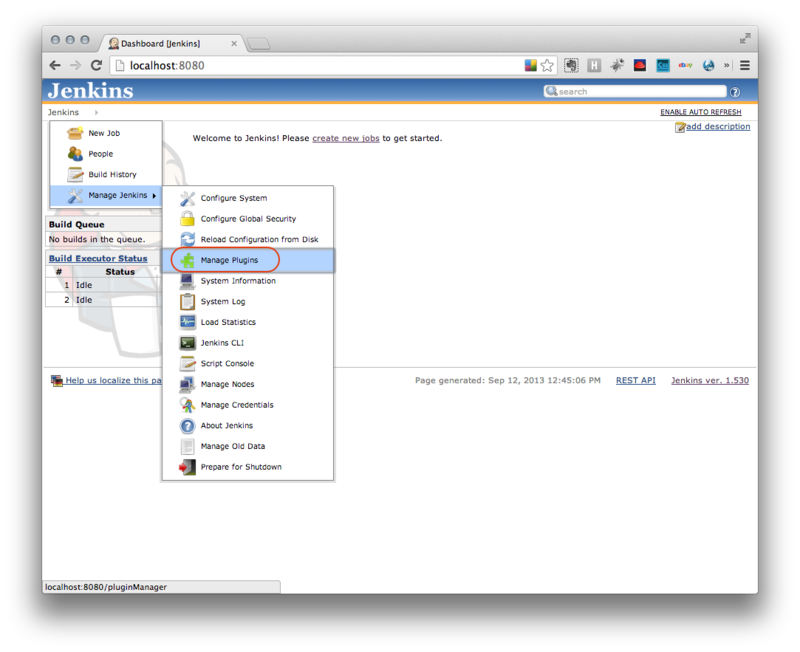 Once these settings are saved and Jenkins is restarted, security will be turned on. 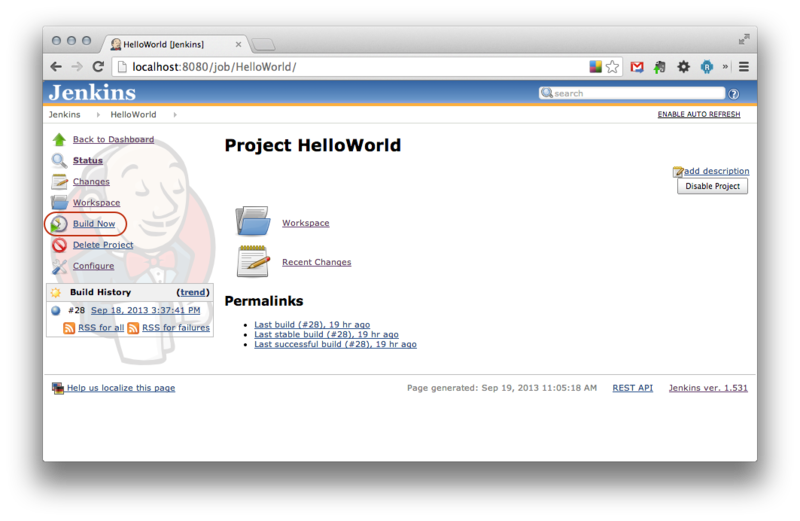 Open the file ~/.jenkins/config.xml in a text editor. Change the value of the <usesecurity></usesecurity> element from true to false. 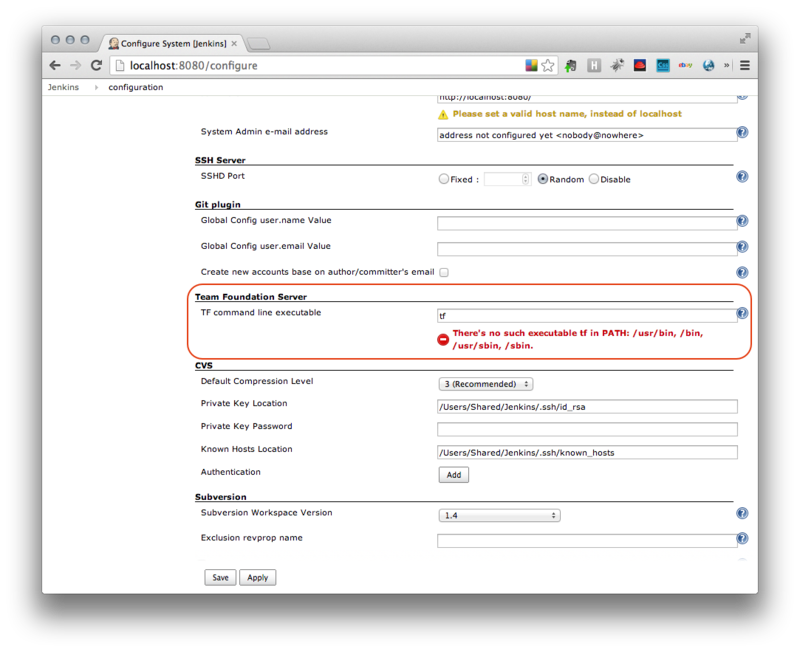 Delete the <authorizationstrategy></authorizationstrategy> and the <securityrealm></securityrealm> elements from the file. At the top level, Jenkins organizes all of the various tasks required to build software into a job. A job also has metadata associated with it, providing information about the build such as how to get the source code, how often the build should run, any special variables that are necessary for building, and how to notify developers if the build fails. This folder contains all the files and artifacts specific to the job such as logs, configuration files, and the source code that needs to be compiled. The source code management system must be specified. One or more build actions must be added to the project. These are the steps or tasks required to build the application. The job must be assigned one build trigger – a set of instructions informing Jenkins how often to retrieve the code and build the final project. 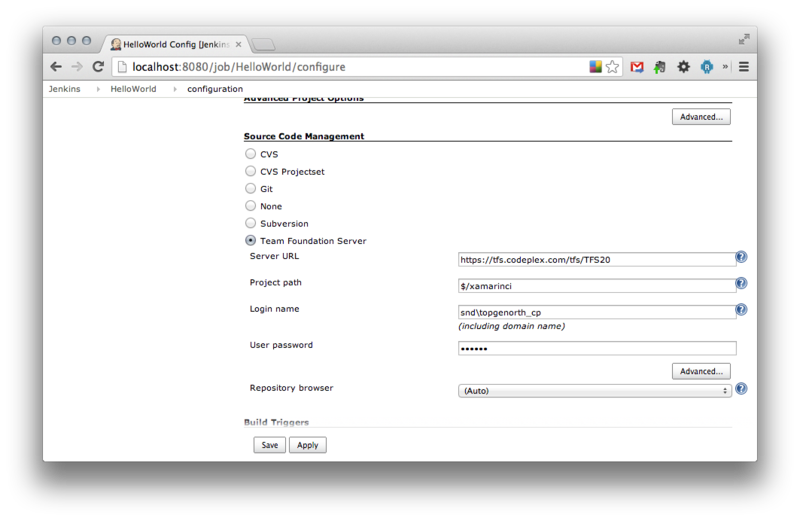 The first task Jenkins does is retrieve the source code from the source code management system. 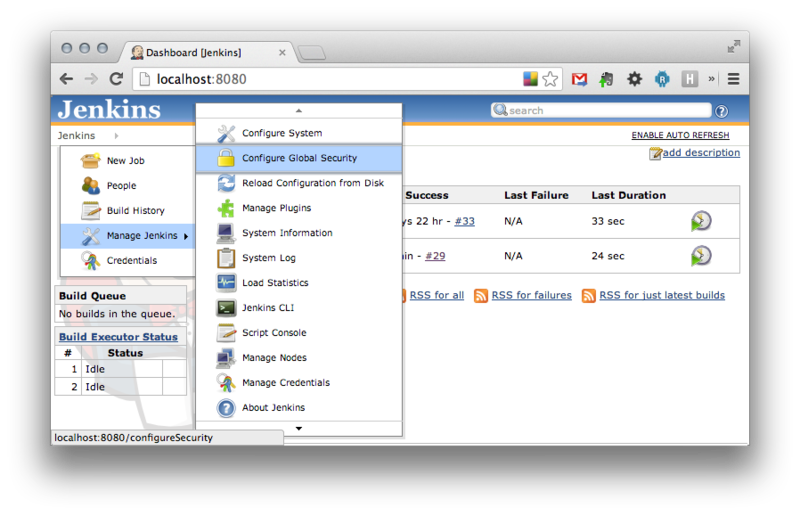 Jenkins supports many of the popular source code management systems available today. This section covers two popular systems, Git and Team Foundation Server. Each of these source code management systems is discussed in more detail in the sections below. If you are using TFS for source code control, skip this section and proceed to the next section using TFS. Once the changes are saved, Git configuration is complete. This section only applies to TFS users. If the job succeeds, a blue circle will be displayed. If the job fails, a red circle will be displayed. The path to the workspace will be stored in an environment variable named $WORKSPACE. Build periodically – This trigger causes Jenkins to start a job at specified intervals, such as every two hours or at midnight on weekdays. The build will start regardless of whether there have been any changes in the source code repository. Poll SCM – This trigger will poll source code control on a regular basis. If any changes have been committed to the source code repository, Jenkins will start a new build. Polling SCM is a popular trigger because it provides quick feedback when a developer commits changes that cause the build to break. This is useful for alerting teams that some recently committed code is causing problems, and lets the developers address the problem while the changes are still fresh in mind. Periodic builds are often used to create a version of the application that can be distributed to testers. For example, a periodic build might be scheduled for Friday evening so that members of the QA team can test the work of the previous week. Xamarin.iOS projects can be compiled at the command line using xbuild or msbuild. The shell command will execute in the context of the user account that is running Jenkins. It is important that the user account has access to the provisioning profile so that the application can be properly packaged for distribution. It is possible to add this shell command to the job configuration page. The xbuild command is typically found in the directory /Library/Frameworks/Mono.framework/Commands. msbuild will not automatically expand $( ) expressions passed in by the command line. For this reason it is recommended to use a full path when setting the IpaPackageDir at the command line. See the Release Notes for iOS 9.8 for more details about the IpaPackageDir property. Sign and zip align the APK with a valid release keystore. These two steps will be covered in more detail in the next two sections. This APK is not ready for deployment, as it has not been signed with a private keystore and must be zip aligned. Signing and zipaligning the APK are technically two separate tasks that are performed by two separate command line tools from the Android SDK. However, it is convenient to perform them in one build action. For more information about signing and zipaligning an APK, see Xamarin’s documentation on preparing an Android application for release. KEYSTORE_ALIAS The key in the keystore that will be used to sign the APK. INPUT_APK The APK that is created by xbuild. SIGNED_APK The signed APK produced by jarsigner. FINAL_APK This is the zip aligned APK that is produced by zipalign. STORE_PASS This is the password that is used to access the contents of the keystore for singing the file. Notice that some of the environment variables for the APK files are built on the WORKSPACE environment variable. The final environment variable is the password to access the contents of the keystore: STORE_PASS. Passwords are sensitive values that should be obscured or omitted in log files. The EnvInject plugin can be configured to protect these values so that they do not show in logs. Once all the build actions are in place, it is good practice to trigger a manual build to verify everything is working. 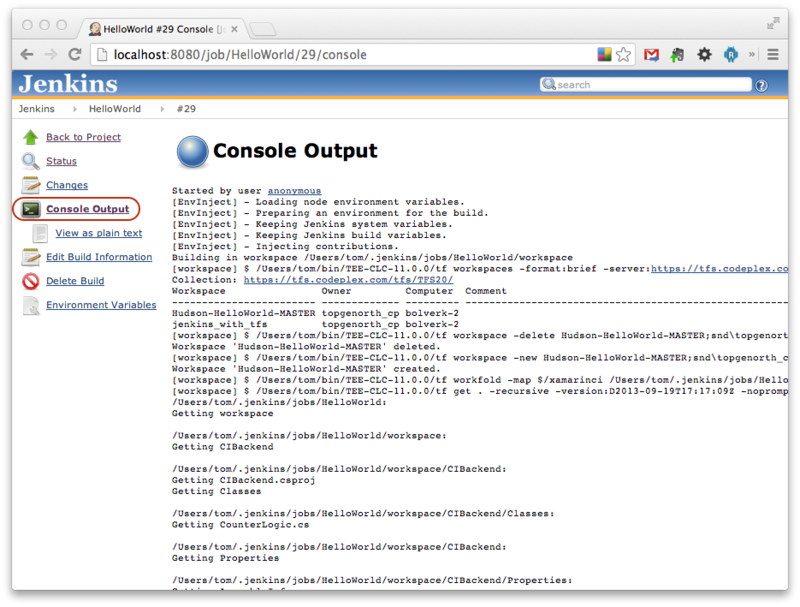 If the build fails, the Console Output should be reviewed for information on what caused the build to fail. Automated tests can be submitted to Test Cloud using shell commands. For more information about setting up a Test Run in Xamarin Test Cloud, see this guide for using Xamarin.UITest. In this guide we introduced Jenkins as a build server on macOS, and configured it to compile and prepare Xamarin mobile applications for release. 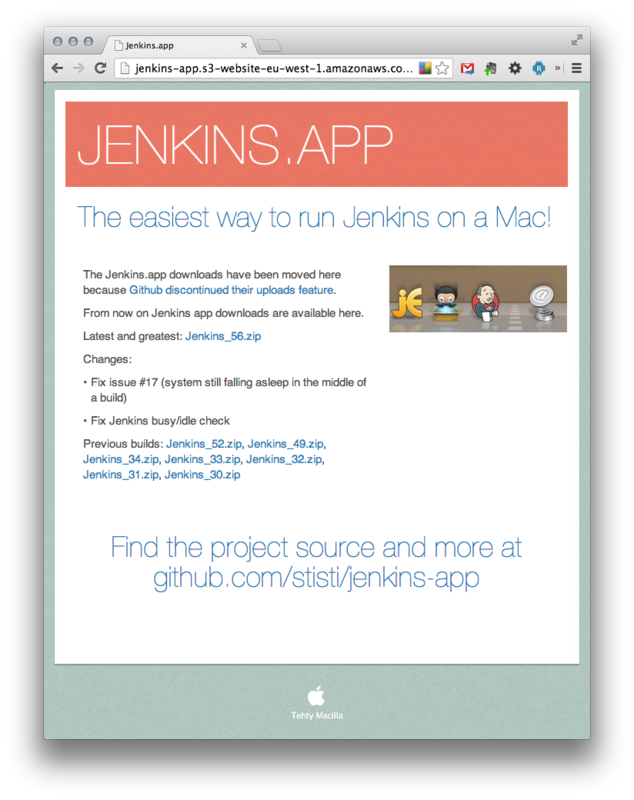 We installed Jenkins on a macOS computer along with several plugins to support the build process. We created and configured a job that will pull code from either TFS or Git, and then compile that code into a release ready application. We also explored two different ways to schedule when jobs should be run.